The more we confess this, the more we remember who we are in Christ Jesus! Never forget your Identity in Christ! We are a lot of things while we are in the world – A mother, father, student, teacher, brother or sister. Sometimes, It can get very confusing and tiring playing all these different roles every day! It is important to remember that we are Children of the Most High. This is our first, foremost and most important role. Just like Jesus was a carpenter on earth, He was still the Messiah and our Saviour and He never forgot that. 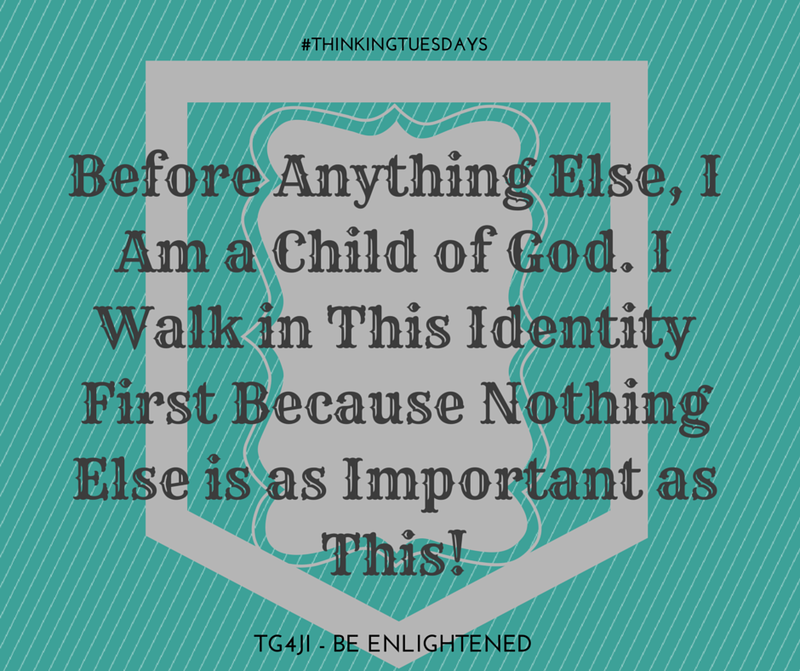 Do not let the earthly labels overwhelm you! ← Living Our Identity in Christ.